Part of my INTE 5665 – Social Media and Digital Cultures course is to create a Networked Learning Space. I curated a public Facebook group that focuses on resources, both local and national, for people with hearing loss and their loved ones. 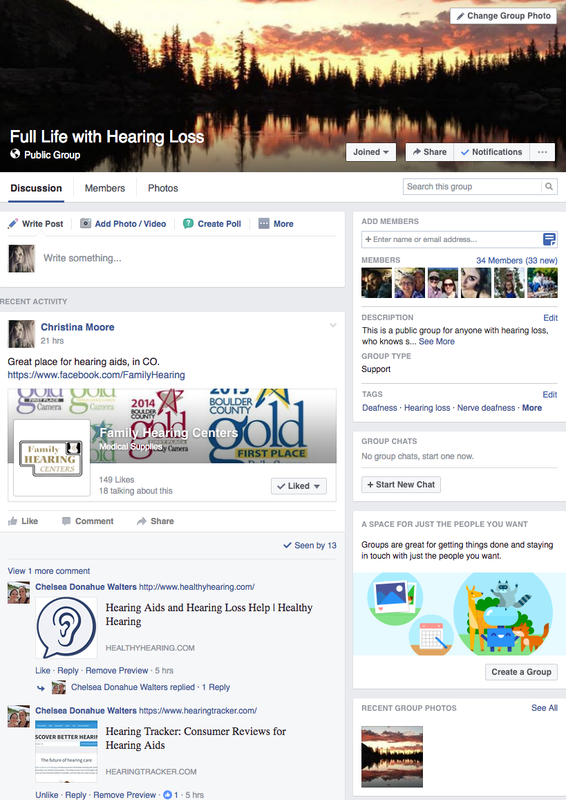 The page’s address is https://www.facebook.com/groups/FullLifeWithHearingLoss/. Please come and check it out and join our group if it’s interesting/informative to you!